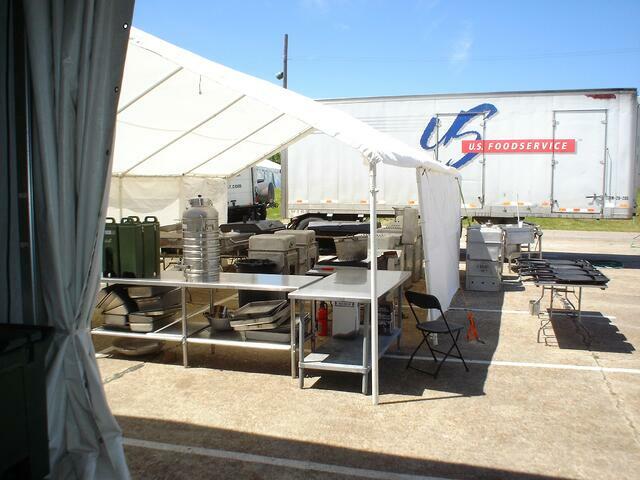 When temporary base camp facilities were needed for “Vigilant Guard,” Mahaffey Fabric Structures was eager to accept the “mission.” The exercise took place at Naval Support Activity (NSA) Mid-South, located in Millington, Tennessee, which is 21 miles north of Downtown Memphis. Installing this turnkey base camp had its fair share of challenges, the site terrain varied by 12’ and was comprised of multiple ground surfaces. The exercise was designed to test the National Guard and other first responder groups in the event of a catastrophic emergency. The training scenario assumed that a 7.6 magnitude earthquake hit Memphis, about 50 miles from the New Madrid Fault Line, a major seismic zone and a prolific source of intraplate earthquakes in the southern and Midwestern United States. Over 1,700 National Guard troops from Tennessee, Illinois, Kentucky, and Missouri took part in this exercise. Military personnel from the Tennessee State Guard, Federal Emergency Management Agency (FEMA), and Tennessee—Emergency Management Agency also required shelter during the training. As irony would have it, the day troops arrived, a 5.2 magnitude earthquake hit the area. Though training had been planned for months, it took on a fresh urgency following the quake, which was reportedly felt parts of from Nebraska all the way to Atlanta. The grounds had to be inspected again, as did all previously-erected structures to ensure no permanent damage had been done. 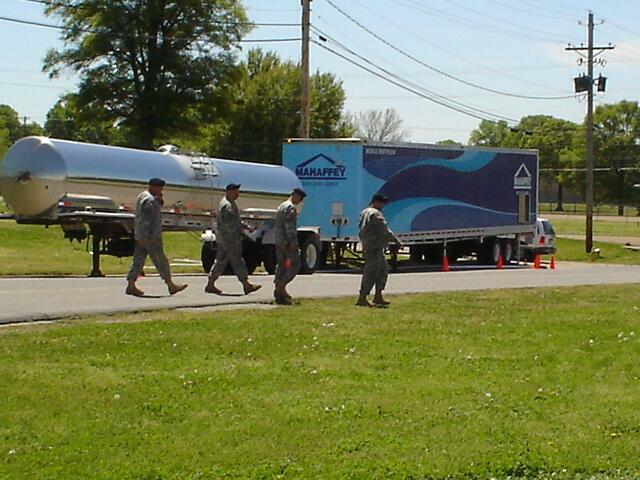 Timing was of the essence for the Tennessee National Guard, as it is for all customers, but especially in all emergency situation. Training exercises were set to start on April 19, so Mahaffey crews arrived on April 11 to begin installation of what would eventually result in 35,972 sq. ft. of structures and mobile facilities. Despite the uncooperative spring-like weather, our crews managed to finish a day ahead of schedule. Aside from the tents and structures, Mahaffey provided an executive bathroom trailer, with separate entrances for males and females, shower trailers, and portable hand-washing stations. The structure solutions were spread out across the 3,500-acre base. In addition, Mahaffey provided sleeping cots, chairs, tables, lighting, modular wood flooring, power distribution, generators, and someone to remain on stand-by throughout the training camp. When the install was complete, the National Guard had the structures necessary to carry out their emergency response training exercises with full functionality and flexibility. 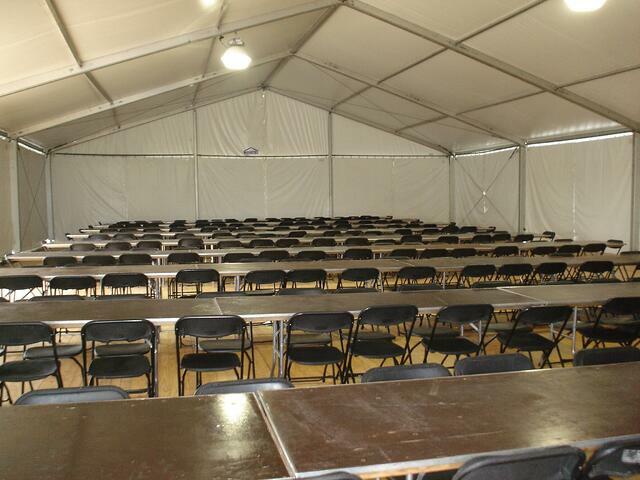 Interested in learning more about military tents and base camp facilities for training troops? Want more information about how you can ontain a portable shelter for your upcoming exercises? If so, click here to get started today.